How can ordinary citizens pressure local officialstorespond to their demands? The people from the province of North Cotabato in Mindanao seemsto have found a solution and areisattempting to further enhance it. This case is about how an organization attempts a strategic shift: from pressure/ protest-only approach to employing an integrated approach: pressure politics and constructive engagement. This case investigates what the enabling factors were of such a strategic shift and the challenges involved in going through with it. 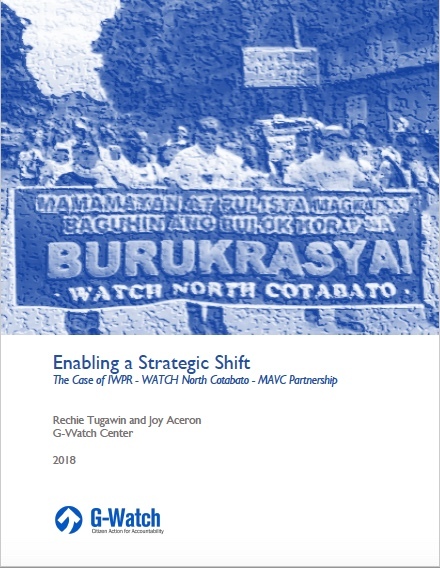 Since the strategic shift also involved the use of digital technology as facilitated by a global program (Making All Voices Count), the case also reflects on when and how digital technology worked (in this case, did not work) to support the work of an organization.